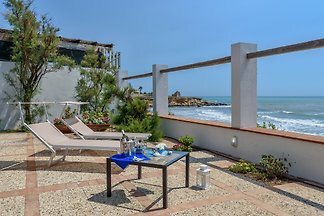 The residence Villa Mimosa, on the seafront, just 30 meters from the beach, offers apartments with private gardens and breathtaking sea view terraces, private parking. 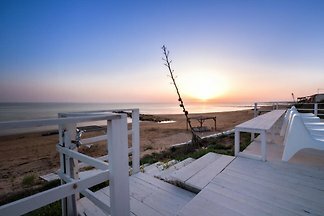 Amelia, villa facing the sea on the sandy beach of Caucana, 2 km from Punta Secca and 4 km from Marina di Ragusa. It offers a large furnished terrace with views. 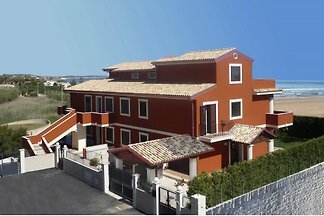 Villa facing the sea, on a cliff, just 20 m from the sandy beach. 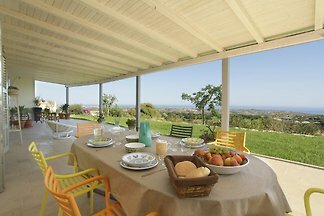 It is furnished in Mediterranean style and has a furnished terrace with a panoramic view. 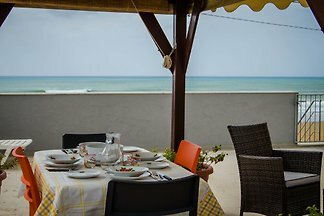 Charming villa on the beach, with wonderful scenic view and terrace with direct access to a sandy beach, often silent and desert. 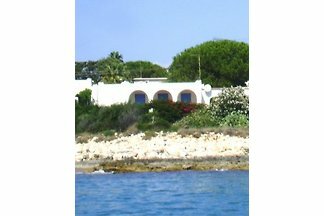 Luxurious villa with pool 200 meters from the sea, a few km from Pozzallo complete with all comforts. 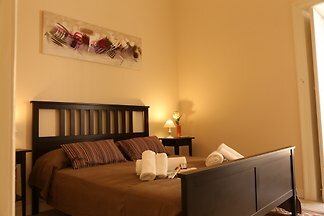 Very new accommodation inside “Il Giardino dei Frangipani”, an elegant resort with pool and wide garden. Only a few km from the sea, it is ideal for a seaside holiday. 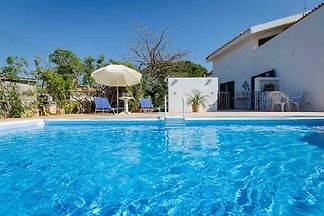 Beautiful modern holiday villa with pool and only 50 m from the fine sandy beach, 3 bedrooms, 3 bathrooms for up to 7 people. Old rural farm with swimming pool. Immersed into the countryside and only 2,5 kilometres far from the sea and the golden beaches of Punta Secca. 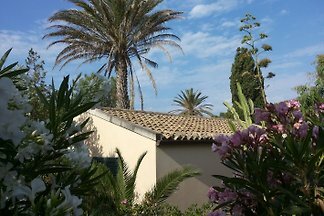 spacious independent villa with private pool and garden, a few minutes from the beach in Marina di Ragusa. 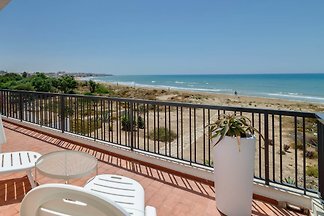 Gracious apartment only 150 mt from the beach, in the very centre, with terrace and beautiful sea view. It is ideal for a family. 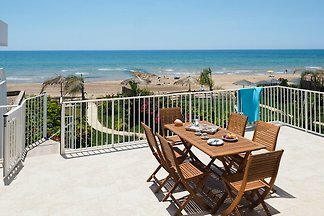 Nice holiday directly by the sea Park with private access to the sea. 2 beautiful sandy beaches nearby. 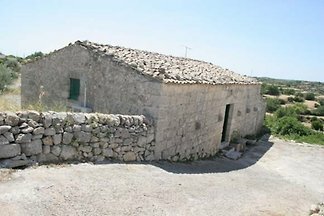 from 5 6 holiday homes & accommodations in Ragusa Region were rated with an average of 4.9 out of 5 stars ! 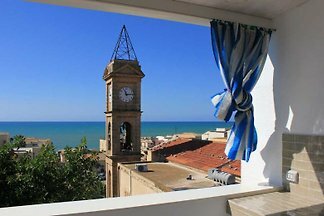 Rent successfully your holiday flat or holiday home in Ragusa Region in only 20 minutes !